Under California law, “discovery” is the process of gathering and organizing the testimony and exhibits in a case prior to a trial. A “deposition” is one of several tools that attorneys may use during the discovery process. A deposition is the under-oath testimony of a principal or a witness in a civil or a criminal proceeding, conducted prior to a trial, and usually at the office of one of the attorneys in the case. However, a deposition is not always required in a California divorce proceeding. When the case is not complicated, and when the divorcing spouses can settle most of their disputes amicably, a deposition usually will not be needed. 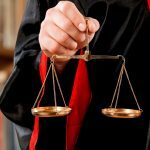 Depositions can be helpful, however, when matters in a California divorce are in dispute and the attorney conducting the deposition is fully trained, experienced, and prepared. This is a general informational discussion about depositions in California divorce proceedings, but for personalized legal advice regarding any actual divorce in this state, a divorcing spouse should consult an experienced Orange County divorce attorney. ARE THERE DIFFERENT TYPES OF DEPOSITIONS? First, let’s define some terms. The two types of depositions are called “party” depositions and “witness” depositions. A “party” in this context is typically one of the principals – that is, one of the divorcing spouses. Other persons may be deposed in “witness” depositions. Party divorce depositions in California are “noticed” – that is, requested – through written requests from one spouse’s attorney to the other. Witnesses are usually served a subpoena to appear for a deposition. A divorce deposition notice or a witness subpoena in California may also ask for particular documents to be produced. HOW LONG CAN A DEPOSITION TAKE IN A CALIFORNIA DIVORCE? When you are being deposed, you must tell the truth. If you fail to do so, your spouse’s lawyer may find out, or a judge could find you in contempt of court. If there is anything that will negatively impact your deposition, discuss it with your divorce attorney prior to the deposition. Wait until your spouse’s attorney completely asks a full question before you begin your answer. Before you answer a question, wait another moment to see if your lawyer objects to the question. If you do not understand the attorney’s question, simply say, “I don’t understand the question” or ask the attorney to re-phrase the question a bit more simply. Changes can be made in the deposition’s transcript, but if you make too many changes, your credibility may be doubted. IF YOU’RE DIVORCING, WHAT ELSE MUST YOU KNOW ABOUT DEPOSITIONS? Divorce lawyers prepare extensively for depositions. They may even conduct a “practice” deposition with a client prior to any actual deposition. The practice session can help you to remember pertinent details so that those details will remain fresh in your mind when the real deposition takes place. Do not bring any notes with you to a deposition; conceivably, your notes could become evidence that your spouse’s attorney may be allowed to examine. 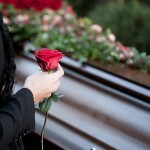 Consult your attorney in advance of the deposition to help with the preparation. The more complicated a divorce is, the more preparation will be required. You should be present at all depositions during your divorce unless your presence will cause an unneeded distraction. Concentrate on the process, not the emotions. Divorce depositions are about gathering the facts in the case – and nothing else. Answer the questions that are asked – honestly and accurately – and say nothing more. Do not let yourself be drawn into an argument with your spouse’s divorce lawyer. Good preparation helps. When you are deposed, consider your answers and take your time. Make certain that you fully understand each question before answering. Do not rush to answer anything. Depositions allow someone who is seeking a divorce to have the spouse and other key witnesses answer questions under oath. Another tool lawyers use in the discovery process, the “interrogatory,” has the same goal. An interrogatory is a set of written questions – often the same questions that would be asked in a deposition – that must be answered fully and honestly. 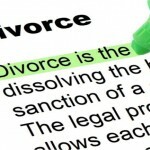 A good divorce lawyer will fully prepare you for an interrogatory or for a deposition. A divorce is never pleasant under any circumstances. Even when there’s nothing to dispute, divorce is difficult and painful. Anyone who is divorcing in the state of California will need a divorce lawyer who understands your anxieties and needs – someone who’s handled similar cases and offers aggressive representation, experience, and reassurance. The right divorce lawyer can help you approach the divorce process without fear, anxieties, or unnecessary reservations.